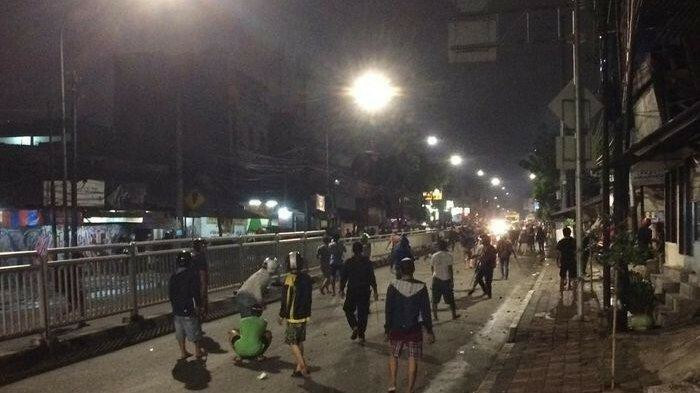 Public brawls continue to occur among youths in Pasar Rumput, South Jakarta, despite the municipal administration's efforts, including the installation of CCTV cameras and obliging youths to attend Quran readings every morning. The area has a long history of youth brawls, and three clashes have occurred this month alone. A brawl on Feb. 2 damaged a nearby Tranjakarta bus shelter, while two brawls broke out on Feb. 5, one in the afternoon and the other in the evening. Two South Jakarta councilors have criticized the administration's solutions and urged mayor Marullah Matali to study the problem on the ground. Bestari Barus of the Nasdem Party said that the mandatory Quran reading program, which cost Rp 1.5 billion (US$107,229) of the municipal budget, had proven ineffective. “[The program] is not on point. The mayor needs to go out into the field, not simply monitor [the situation] remotely from his office. He needs to understand the root of the problem,” he said as quoted by tribunnews.com. Abdul Ghoni of Gerindra concurred, saying that the municipal administration needed to hold a forum inviting the brawling groups. “Get them together and ask them what the problem is. Involve the police as a deterrent effect. Force them to sign an agreement [for a truce],” he said. Abdul suggested that the problem might stem for social issues and for the administration to give jobs to the youths. Meanwhile, the mayor said it was too early to determine whether the program had been ineffective, because it had been running only a month.